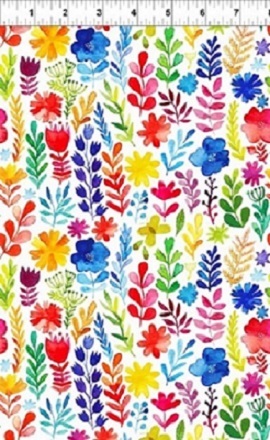 45″ wide 100% cotton Beauiful water color floral with bright spring/summer colors to mix with several of the Floral Menagerie collection of designer cottons. Would make bright beautiful quilt. Great pieces for fashion sewing for the young at heart. Even a good combination for home decorating.